Professor Young has been involved in research on the effects of ultraviolet radiation (UVR) on human skin for the past 25 years. The European Commission (EC), UK Department of Health, UK Medical Research Council, research charities and industry have largely funded this research. Professor Young has a long-standing interest in photoprotection, and is also currently working on vitamin D, the photobiology of different skin types and the development of natural marine sunscreens. He was recently the coordinator of a 4-year EC €4.5-million research project, within its Framework 7 Environment and Climate Change Programme, entitled “The impact of climatic and environmental factors on personal ultraviolet radiation exposure and human health”. This multi-national project assessed the beneficial and detrimental health impacts of UVR in field studies of human populations in work and leisure situations in different European countries. Professor Young is an active member of the American Society for Photobiology (ASP) and the European Society for Photobiology (ESP). He has been chairman of the British Photodermatology Group (BPG), a faculty member of the American Academy of Dermatology (AAD), and is currently an associate editor of Photodermatology, Photoimmunology and Photomedicine and section and section editor of the Journal of Dermatological Science. Professor Young is also a member of the United Nations Environment Programme (UNEP) - Environmental Effects Assessment Panel. Prof. Tania Cestari received her undergraduate degree in Medicine from the University of Rio Grande do Sul and her MS and PhD from the University of Rio de Janeiro. She is presently Associate Professor of Dermatology at the School of Medicine from University of Rio Grande do Sul, Chairperson of the Department of Dermatology and of the Laboratory of Applied Photomedicine of the Hospital de Clinicas de Porto Alegre Research Center. Prof. Cestari serves as Effective Member of the Brazilian Society of Dermatology, European Academy of Dermatology and Venereology, American Academy of Dermatology, International Society of Dermatology, American Society of Photobiology, Latin American Society of Photobiology and Photomedicine, Latin American Society of Pediatric Dermatology and of the Women's Dermatological Society. She participates actively on that organizations and is, currently, vice-president and Chair of the Maria. Duran Committee of the ISD, member of the AAD World Congress Fund Review Task Force, member of the International Affairs Committee of the Women's Dermatological Society and member of the TC 6-48 (Americas’ Sector - Sensitivity of human skin to ultraviolet radiation Task Force) of the CIE (Comission Internacionale de L Eclairage – International Commission on Illumination). Besides teaching Graduation students Prof. Cestari acts as supervisor and adviser of the Post Graduation Course in Children and Adolescent Health and has oriented 27 MS and 11 PhD thesis. Her research interests include mainly pigmentary disorders, photodermatology and skin diseases in children. Kesha Buster, MD, received her medical training at University of Iowa Roy J. and Lucille A. Carver College of Medicine (Iowa City, IA), and combined her residency in Dermatology and her Post-Doctoral Research at the University of Alabama at Birmingham. She completed her Education with Honors and numerous Awards. She is now Dermatologist and holds her Private Clinic, Buster Dermatology, in Tulsa, Oklahoma (USA). Kesha Buster has authored several publications in international journals. Her last manuscript is a review and contains recommendations about Skin cancer and photoprotection in people of color (Agbai O, Buster K, Sanchez M, et al. Skin cancer and photoprotection in people of color: A review and recommendations for physicians and the public. J Am Acad Dermatol. 2014 Apr;70(4):748-62). She also recently authored a textbook chapter titled “Photoprotection and skin of color. In Principles and Practices of Photoprotection” (Buster K, Ledet J. Photoprotection and skin of color. 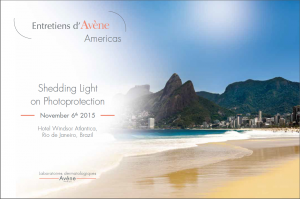 In Principles and Practices of Photoprotection. Editors Wang S and Lim H. Text to be published by Springer Publishing in summer 2015). She is member of several dermatology societies including the American Academy of Dermatology, the Skin of Color Society and the Gold Humanism Honor Society. Henry W. Lim is Chairman and C.S. Livingood Chair of the Department of Dermatology, Henry Ford Hospital, and Senior Vice President for Academic Affairs, Henry Ford Health System, Detroit, Michigan, USA. He received his M.D. from SUNY Downstate Medical Center, Brooklyn, New York, USA, and completed his dermatology residency at New York University School of Medicine. Prior to coming to Henry Ford Hospital, he was a Professor of Dermatology at NYU School of Medicine, as well as the Chief of Staff of the New York VA Medical Center. 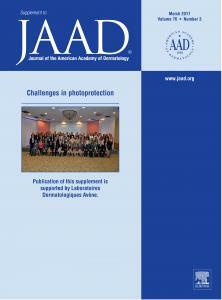 He has published more than 350 articles, and is a recognized authority on photodermatology. He has been listed on America’s Top Doctors for many years. Dr. Lim has served as president of Michigan Dermatological Society, vice president of the American Academy of Dermatology, president of the American Board of Dermatology, and is the president of the American Dermatological Association. He is the incoming president elect of the American Academy of Dermatology, the world’s largest dermatology society. He was an Associate Editor of the Journal of Investigative Dermatology, and was Editor-in-Chief of Photodermatology, Photoimmunology & Photomedicine. He is currently a Senior Editor of Journal of Drugs in Dermatology, a member of the editorial board of Photodermatology, Photoimmunology, and Photomedicine and Journal of Dermatological Sciences. He was a former editorial board member of Journal of Investigative Dermatology, Journal of the American Academy of Dermatology, and JAMA Dermatology. He is an elected honorary member of dermatology societies in Austria, the Philippines, and China. Dr. Lim is the editor/co-editor of five published textbooks: Clinical Photomedicine, Photoaging, Photodermatology, Clinical Guide to Sunscreens and Photoprotection and Cancer of the Skin. He is also a co-editor of three textbooks in preparation: Dermatology for Skin of Color (2nd edition), Vitiligo: Medical and Surgical Management (2nd edition), and Principles and Practice of Photoprotection. Dr. Joël Claveau is a dermatologist, specializing in the diagnosis and treatment of melanoma, and an Associate Professor with the Department of Medicine at Laval University where he completed his Medical Study and Internal Medicine training. He completed his residency in Dermatology at McGill University and subsequently worked at the Melanoma Clinic at the Royal Victoria Hospital in Montreal, Quebec. He is a diplomat of the American Board of Dermatology and is a member of a number of medical societies including the American Academy of Dermatology and the International Dermoscopy Society. He has received awards including the Young Dermatologist’s Volunteer Award of the Canadian Dermatology Association for his work on the prevention of skin cancers. Since 1996, he has been the co-Director of the Melanoma and Skin Cancer Clinic at Le Centre Hospitalier Universitaire, Hôtel-Dieu de Québec, and worked in Public Health for the province of Québec especially on the new Tanning Bed Legislation. He participated in the publication of many papers in peer-review journals including work on melanoma, skin cancers and sunscreens. He is actively involved in a numerous Continuing Medical Education (CME) events. María Ivonne Arellano is Professor Emeritus at La Salle University Faculty of Medicine in Mexico City. She is Professor of dermatology at the UNAM postgraduate residence program and has been Associate Professor and coordinator of 38 specialty courses. She currently holds a private practice in Hospital Dalinde and an institutional public practice in the Hospital General de México. Dr. Arellano has authored numerous book chapters and scientific publications in national and international journals. She recently published Clinical Recommendations for Photoprotection in Mexico (Dermatología Cosmética, Médica y Quirúrgica 2014; 12(4):243-255), and the book chapter titled: “Common skin diseases and Treatment in North America: Mexico” (In Kelly P., Taylor S. 2015, Dermatology for Skin of Color, Mc Graw Hill Medical. NY, U.S.A). She has been invited as Guest Speaker and Professor to 345 National & International conferences and is member of several dermatology societies including the Latin American Society of Photobiology and Photomedicine, the American Academy of Dermatology, the Mexican Dermatology Society and the Mexican Society of Dermatological and Oncologic Surgery. Dr Ana Beatris Rossi is a French /Brazilian dermatologist with 25 years of experience practicing dermatology and 14 years experience performing clinical studies to evaluate efficacy and safety of drugs & cosmetics. She is the head of cosmetic Dermatology in the University hospital of Toulouse, France, where she teaches residents on aesthetic procedures (chemical peelings, injections, collagen stimulation) and cosmetic science. She has been working as dermatology expert for several pharmaceutical and cosmetics companies, including Unilever, Johnson & Johnson, Galderma, Novartis and Pierre Fabre. Currently, she is the head of the European Skin Research Center in Toulouse, and leads a team in charge of more than 500 clinical studies /year, focused in dermo-cosmetics. She is member of the Brazilian, American, European and French Societies of Dermatology and has authored several publications and book chapters in the field of dermatology. Fernando M Stengel is the Medical Director of Buenos Aires Skin and President of the Fundación del Cáncer de Piel, Argentina. He received his MD from the University of Buenos Aires Medical School, Argentina, completed his Internal Medicine Residency at the “Instituto Modelo”, University of Buenos Aires - Hospital Rawson and subsequently completed a Dermatology Residency at New York University School of Medicine. Before returning to Argentina he was an Assistant Professor of Dermatology at NYU Medical School, Dpt. of Dermatology. Dr. Stengel served as Editor in Chief and Associate Editor of “Archivos Argentinos de Dermatología” for over 20 years, became interim chief of Service at University Hospital Dermatology Service and subsequently served as Prof. of Dermatology, Director of the Residency Program and Chief of the Dermatology Service at “Cemic University Institute” until 2012. His main areas of interest are Photodermatology and Skin Cancer. He has published over 40 articles, written educational booklets for children and youngsters and has promoted Photoeducation (the knowledge and practice of a healthy Skin - Sun relation) throughout Latin America. He is former President of the 2010 RADLA meeting, was Scientific Secretary of the 2007 World Congress of Dermatology in Buenos Aires and President of the World Congress of Cancers of the Skin (Skin Cancer Foundation – 1995). Dr. Stengel is co Director of the Argentine Melanoma Registry and serves as a Council member at the International Psoriasis Council, and as a member of the Editorial Board of Photodermatology, Photoimmunology & Photomedicine. 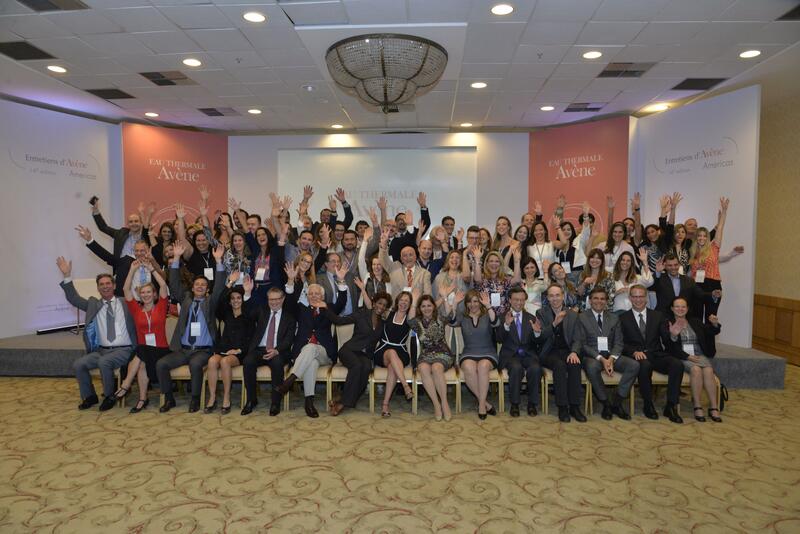 He is an elected honorary member of multiple dermatology organizations in Lat Am and a member of the Argentine Society of Dermatology, American Academy of Dermatology and the American Dermatological Association.